A mum who was given weeks to live after she shunned chemotherapy has baffled doctors by treating her cancer — with illegal super strength cannabis and Manuka honey. Doctors said unless she had chemotherapy – and then incredibly risky facial surgery – her only option was end of life care. But despite the tumours growing at a rate of 5% a month, she shunned the invasive treatment. It has an 80% cannabinoid strength – 78.8% over the legal treatments – and contains THC, the principal psychoactive constituent of the drug. 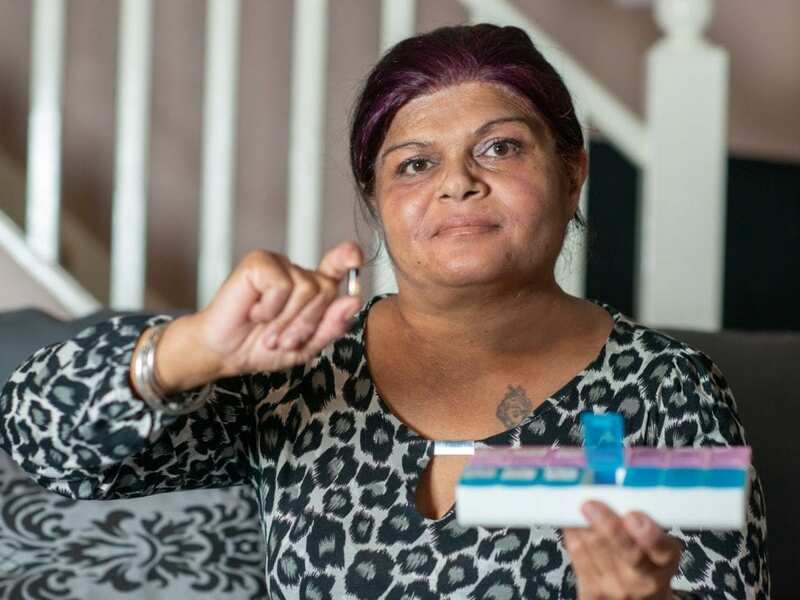 A letter from her “pleasantly surprised “consultant confirms the regression and states: “I can only conclude that Mrs Dhillon appears to have gained significant benefit from the Manuka honey and Cannabis oil treatment”. 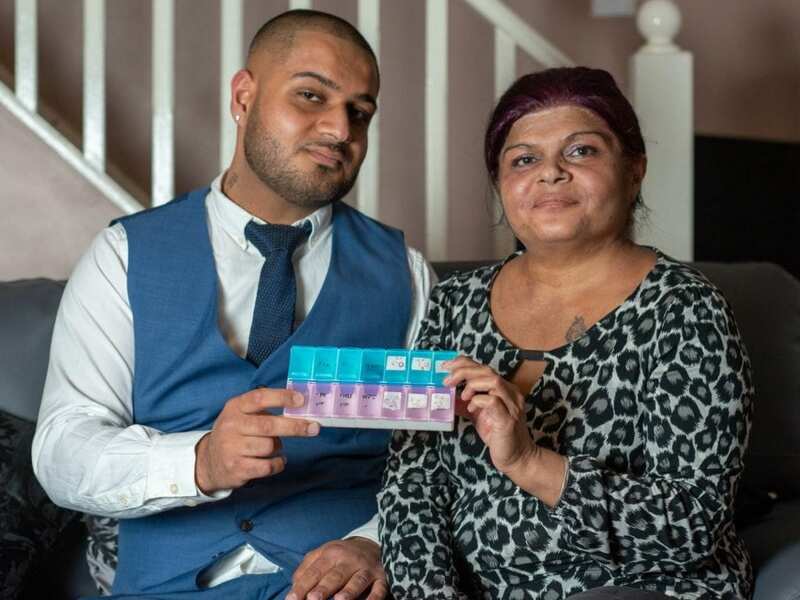 Sue, a former NHS prescription administrator, from Slough, said: “It’s an absolute miracle. “I was told I could die in weeks or months. They told me it was inoperable. “Any hope I had just vanished when they said I didn’t have long. “When I got these results I felt like I had been handed a lifeline. It felt like someone had given me a second chance at life. “I was over the moon. It was the best news I could possibly have been told. Sue went to the doctors after food started to come out of her nose while she was eating and she noticed she had holes in her mouth, in May last year. Two weeks later, in June last year, she was told she had stage 4 advanced sinonasal carcinoma involving the skull – a rare cancer of the nasal cavity. Sue, said: “I went through a really sad time with my family. Letters between experts describe her case as “very difficult” and the tumours as “extensive”. 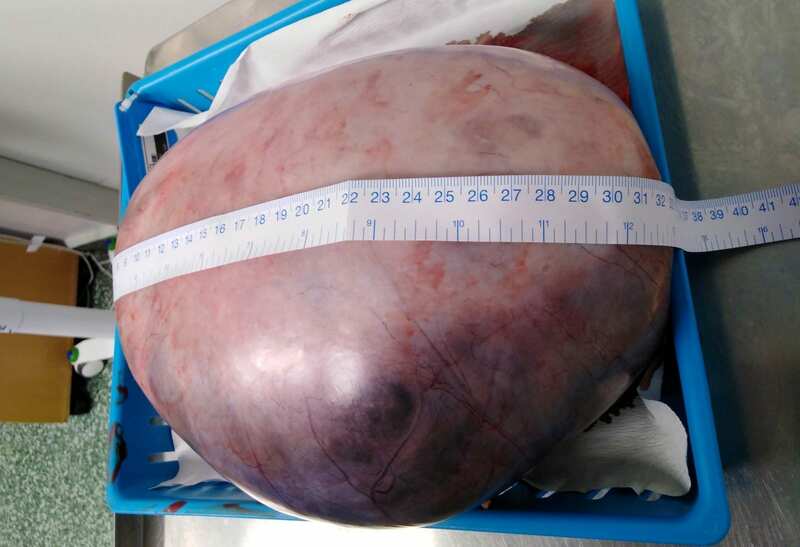 The letter, from July last year, said the surgery was associated with “significant morbidity” and if she chose radiotherapy “ultimately the cancer will continue to grow and will not be cured”. “I felt like there was no hope for me,” said Sue, who is single. 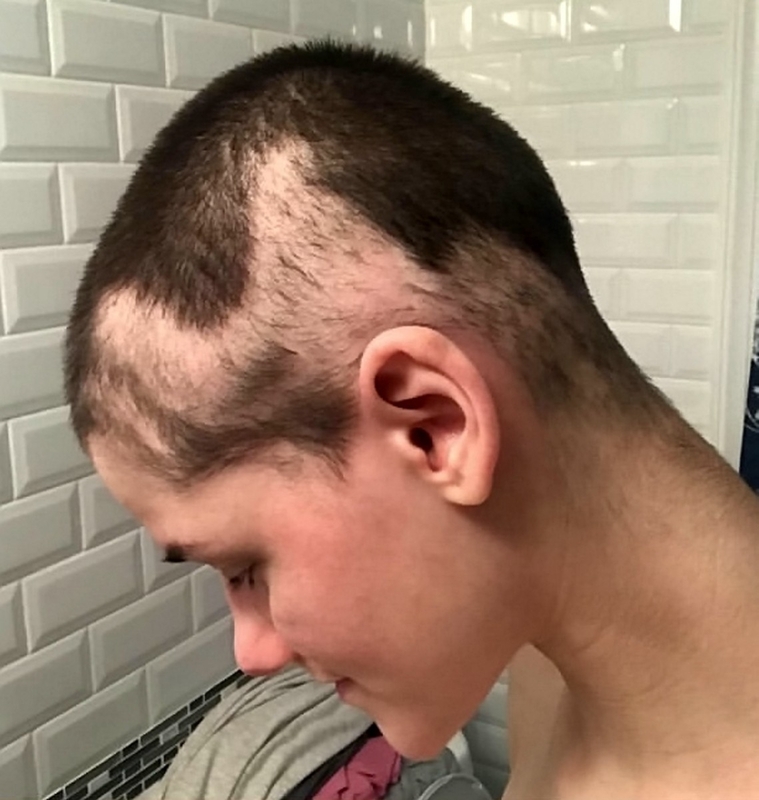 “I didn’t want chemotherapy. It’s not natural and I don’t believe in it. “It wasn’t right for me. I didn’t want to have to deal with those side effects. “If l only had a few weeks left then I wanted to stay healthy and happy, so I looked for another option on my own. “I took to the internet to look for an alternative treatment. “I wasn’t going to just settle for it. “I saw a lot of people talking on forums about cannabis oil and how it was helping them. Rick Simpson oil is different from the CBD oil – which is available on the NHS in cases of “exceptional clinical need” – because it is much more potent. It contains psychoactive substance THC, which is the part of the drug that makes people feel ‘high’. 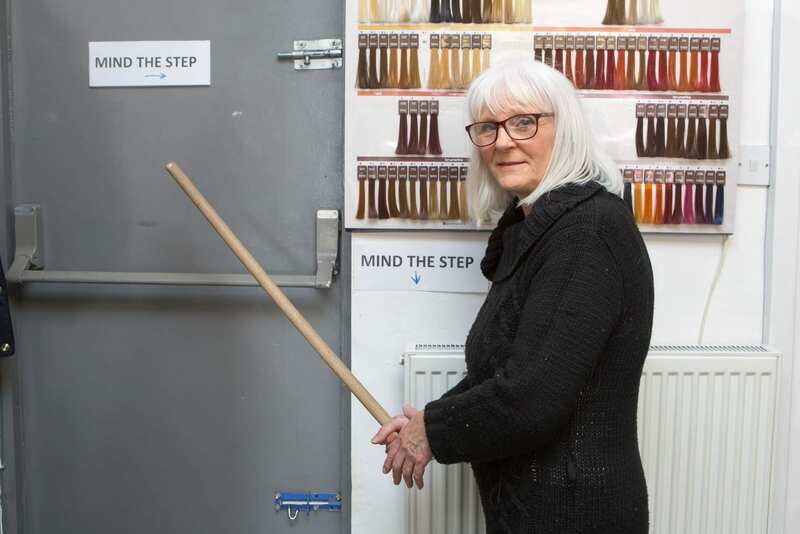 Rick Simpson oil isn’t available on the NHS and is illegal in the UK, and the version Sue uses contains around 80% THC, she said. Sue said: “They make me feel very sleepy and very hungry but all three of my kids look after me. “I don’t feel the pain anymore either and I did have pain before. I used to get headaches a lot and I was very sore. 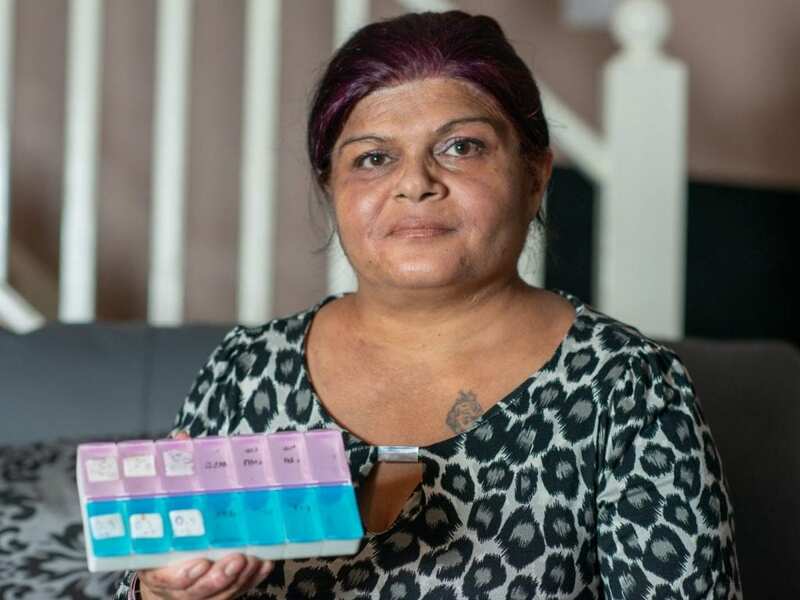 Incredibly, her consultant was stunned to find “no obvious sign” of a tumour in her mouth or nasal cavity – despite being diagnosed with advanced tumours in both areas six months earlier. The consultant was “pleasantly surprised” to see the cancer had regressed, and told Sue he was happy for her to continue taking the illegal cannabis oil drug. In a letter to Sue, dated February 7 this year, he said: “When I first saw Mrs. Dhillon in June 2018, the sinonasal cancer appeared to be very aggressive. “When I reviewed Mrs Dhillon on January 17 I was pleasantly surprised to see regression of the cancer in the oral cavity with no evidence of any obvious tumour in the palate (roof of the mouth). “There is no evidence of any active cancer in the nasal cavity. “A CT scan in December 2018 has also confirmed stable disease with no evidence of any progression. 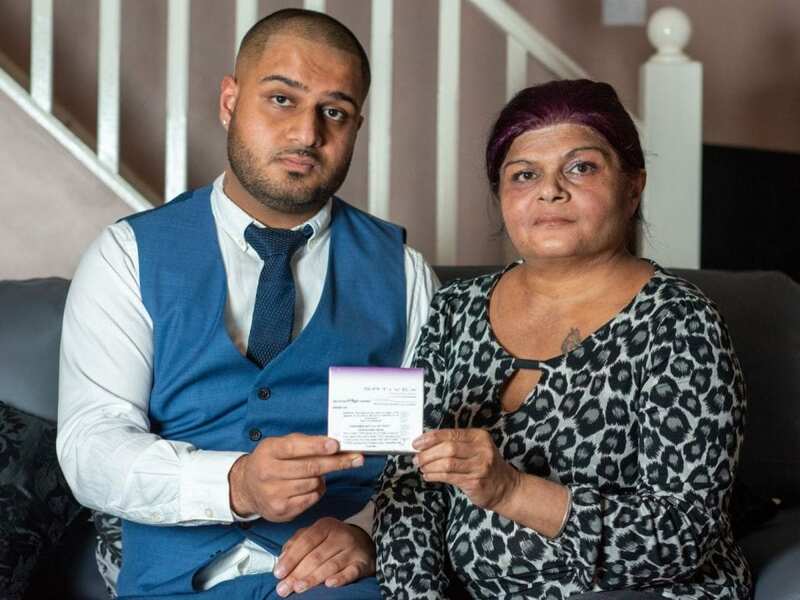 “Although I am unable to explain the possible healing properties of the treatment, I can only conclude that Mrs. Dhillon appears to have gained significant benefits from the Manuka honey and cannabis oil treatment. For her and her family, the news was “the best Christmas present ever”. She said: “I got the results just before Christmas Eve. It showed it hadn’t progressed anymore. “I can’t tell you how happy I was. In June I didn’t think I’d be still here. “I didn’t know if I’d see another Christmas. It was like I was given a lifeline. “I was over the moon. I was so relieved about how things had turned out. Her prolonged survival also gave her the chance to enjoy Mother’s Day with her loved ones. She said: “I was able to enjoy an absolutely lovely Mother’s Day. All my kids came round and my granddaughter made me a card. “They gave me flowers and roses and it was lovely. “I have been able to spend more time with my daughter. She is my baby and is really important to me. 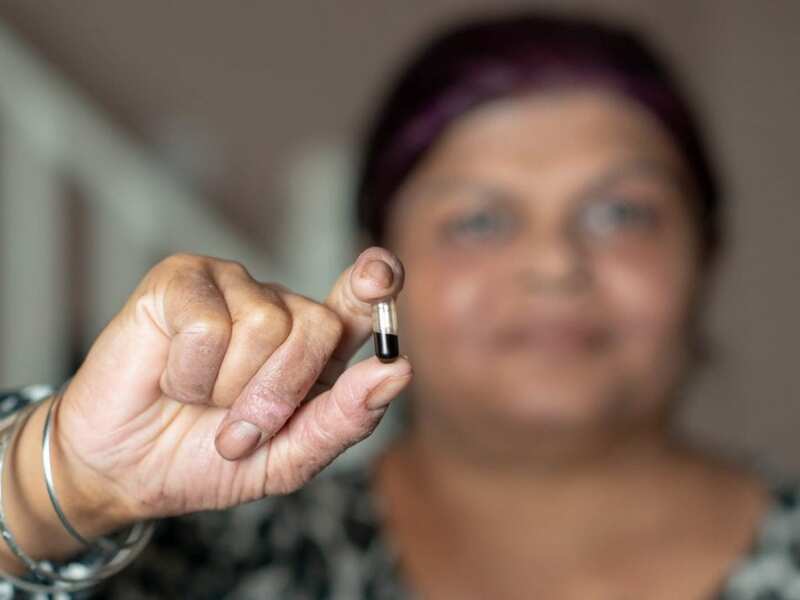 Sue has also separately been prescribed Sativex – the first cannabis-based medicine to be licensed in the UK that has only been available since December 1 last year. Sue’s recent scan results showed her cancer is being kept at bay – but she faces a longer wait to find out if her cancer will regress any further or totally disappeared. “If it doesn’t grow any more then I will be able to live with it,” she said. Sue says before taking her tablets she has “never taken” drugs before. She says her case is “proof” that medicinal cannabis can be used treat cancer. Sue wants “all cancer patients” to be prescribed medicinal cannabis so others can benefit in the same way she has. “I have never taken drugs before. When I had the first tablet it was the first time for me”, said Sue. She added: “This is proof it can treat cancer. I am doing perfectly fine. I say make it available for other cancer patients. “It has given me a reason to live again. It has had such a positive impact on my life.